Two brothers, William and Joseph Whitehouse, founded Whitehouse Brothers Inc. in Cincinnati in 1898. At that time, the Ohio Valley had a wealth of immigrants who brought with them the jewelry trade they learned in various parts of Germany. A number of German craftsmen were brought here with the promise of a job at Whitehouse Brothers and many remained with the company for 40 to 50 years. Most of the Whitehouse Brothers rings produced today are original designs brought from Europe and adapted in Cincinnati. In 1918, the artisans at Whitehouse Brothers were at the height of their craft, inspired by the work of the Rookwood potters and architects of the time. Art Nouveau and the Edwardian periods are the two points in art history that most influence the jewelry of Whitehouse Brothers. Popular motifs that you will see throughout these pieces are floral motifs, organic patterns and interwoven asymmetric flowing lines. As Art Deco styles came onto the scene during the 1920s, more geometric and abstract patterns emerged. Some of the design elements that you see in these rings are also evident in architectural details of that time. 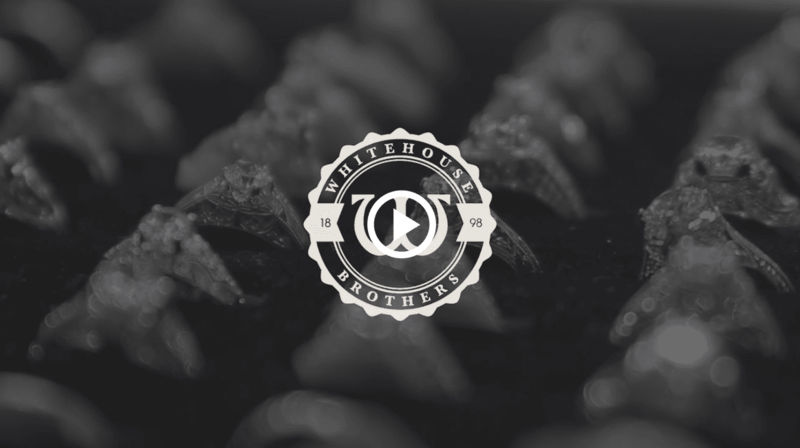 For 117 years, Whitehouse Brothers has enjoyed a fine reputation in the jewelry industry. Our fine jewelry is available through retailers who are equally reputable and quality conscious. Please use the Retailer Locator to select an authorized retailer in your area.